On Einstein's birthday, no less. That doesn't sound planned at all /s. With all due respect, I don't know who came up with that worn out old message. Stephen Hawking was a fake! Or the second one anyway. Miles has earned "I told you so" conspiracy points. NEW PAPER, added 4/4/18, They Finally Retire the Stephen Hawking Impostor. http://mileswmathis.com/hawk4.pdf. You probably know Hawking “died” recently, but unless you are in the UK, you may not know that two months earlier The Daily Mail in London reported on my outing of him as a fake. My wife reminds me that The Daily Mail is "a tabloid" and is not convinced. I'm sure she'll come around eventually. I, too, was not impressed that it was The Daily Mail, but do you expect controlled mouths to utter anything useful? It is good to have someone that questions what you are looking into though. Keeps you honest and keeps you looking for better evidence and arguments. After all, that is pretty much what we do for each other here. I've recently found myself acting as Devil's Advocate for my son. He started researching ancient civilisations and various other things like the pyramids, etc. I politely questioned his sources and asked for clarification on various things. I would also try to give him a different perspective on the physics, when it arose, through Miles theories. I even gave him Miles first book as a way to get him thinking more mechanically about it all. He did struggle a bit because he doesn't know enough about physics in general, but I assured him that it does get easier as you read more. Then, of course, I re-read (actually listened to) a Mathew Reilly series of books (Seven Ancient Wonders, Six Sacred Stones, Five Greatest Warriors and about to get Four Legendary Kingdoms) which is based around ancient wonders (obviously) which got me looking into the pyramids, which led to ancient civs, which led to catastrophes and geology (really impressed by the work of Randall Carlson), etc, etc. The rabbit hole has no end! Of course when news broke of Isaac Newton’s apocalyptic theory, the media went into a frenzy; however, since then, Newton was overshadowed by the Mayans. It is a pretty safe bet that the media will pick up on Newton’s theories; especially as we near the so-called target date of 2060. The media reported the date vigorously, citing Newton’s contribution’s to physics in an effort to give the doomsday prediction more validity. In a twist, it seems that Newton did not use physics (or any other science for that matter) to come to his conclusion. Instead, he used basic math and the Bible. Interpreting the phrase “it shall be for a time, times, and an half” as 1,260 years, Newton concluded that the earliest possible time earth could experience the apocalypse was in 2060. However, it seems that Newton had to make an awful lot of assumptions to derive that number. For starters, Newton believed that “time” equaled to one year and “times” equaled to two years, and a “half” equaled to six months giving him a total of three and a half years. Newton used this math to derive the 1,260 years. The final assumption he made was the starting point. Newton chose 800 AD as his starting point. This date coincides with the beginning of the Holy Roman Empire; however, Newton never explained why he chose this date. It seems as one apocalyptic prophecy is put to rest, another takes its place. This time it is Isaac Newton’s prophecy. The Babylonians, who were famous for their astronomical observations and calculations (aided by their invention of the abacus), used a sexagesimal (base-60) positional numeral system inherited from the Sumerian and also Akkadian civilizations. The legacy of sexagesimal still survives to this day, in the form of degrees (360° in a circle or 60° in an angle of an equilateral triangle), minutes, and seconds in trigonometry and the measurement of time, although both of these systems are actually mixed radix (base). A common theory is that 60, a superior highly composite number (the previous and next in the series being 12 and 120), was chosen due to its prime factorization: 2×2×3×5, which makes it divisible by 1, 2, 3, 4, 5, 6, 10, 12, 15, 20, and 30. In fact, it is the smallest integer divisible by all integers from 1 to 6. Integers and fractions were represented identically — a radix (base) point was not written but rather made clear by context. On the other hand, is it possible that global catastrophe survivors who started new “post-flood” civilization introduced 360 day calendar since that is what they used before the asteroid impact changed the speed of Earth’s rotation? According to Herodotus, 70 years are equal 25,200 days (this can only be true if the year he describes has only 360 days: 70 x 360 = 25,200 ). To synchronize time with seasons, he adds 35 months of 30 days each: 35 x 30 = 1,050 days. Therefore the total number of days to account for 70 years = 25,200 + 10,050 = 26,250 days. In this short paragraph, Herodotus describes a calendar based on a year equal 360 days: 12 months of 30 days each. He also mentions “correction” required to synchronize this calendar with seasons (add to alternating years 30 days). It seems Herodotus misunderstood the time adjustment “correction” since it would produce a 2 year period equal 360 + 360 + 30 = 750. 750/2 = 375 days per year (10 days too many). What actually would be required to “synchronize seasons” would be annual replacement of one of the 30 day month with a 35 day month: 11×30 + 35 = 365. The image of Newton as hyperrational man of science is somewhat difficult to reconcile with some of his extracurricular activities. In addition to his more respectable scientific pursuits, Newton was a student of alchemy and the occult. He conducted numerous experiments attempting to create the mythical Philosopher's Stone, a substance that could be used to transmute base metals into gold and create an elixir of immortality. His experiments with mercury may have led to the eccentricity that characterized his later years. Newton was obsessed with eschatology, the study of the end of the world, but was positive the end would not arrive prior to the year 2060 (many of his contemporaries believed Armageddon was much more imminent). When Isaac Newton died on March 20, 1727, he left a mass of disorganized papers containing upwards of 8 million words. These manuscripts presented a picture of Newton quite unlike the one enshrined in Westminster Abbey as the paragon of English rationality. Complex and confusing, the papers were deemed “unfit to be printed,” and, aside from brief, troubling glimpses, they would remain hidden from sight for more than a century and a half. They passed through the hands of relatives, collectors, scientists, and scholars. In 1936 Sotheby’s held a historic auction that scattered the bulk of these writings to dozens of buyers all over the world. One of the men who set out to collect as many of these manuscripts as possible was a Jewish polymath, teacher, writer, researcher, linguist, and collector of rare documents, Abraham Shalom Yahuda. Yahuda invested quite heavily in the purchase of the Newton papers. He spent more than £1,400 (more than £50,000 [US$84,000] today) and sold some of his other manuscript stock to help fund the acquisitions. He didn’t consider his acquisitions risky, though. What he had bought was of obvious value to him. The papers (he ended up, by his own estimation, with 3,400 folio pages) were the “best and most valuable” work he had ever purchased. Like Keynes, Yahuda had a certain claim to arrogance, to seeing truths that others could not. Where Keynes had been schooled at Eton and Cambridge, Yahuda’s education contracted within its span Jerusalem, where he was born in 1877; Basel, where he attended the First Zionist Congress in 1897; and Germany, where he settled in for a series of degrees at Frankfurt, Heidelberg, and Strasbourg universities—all in the pursuit of knowledge suitable for the study of ancient texts and languages. The son of a rabbi, Yahuda was encouraged to study in the wider world but expected to observe Jewish law. An anecdote from his early education suggests something of his independence of spirit—and the tightly constrained world he inhabited, despite his travels. While studying in Frankfurt and living with an observant host family, he found himself unable to resist the urge to smoke a cigarette on the Sabbath. To soften the sinfulness of his act (and elude detection), he took a train to a nearby town. There he was unlucky enough to be seen by a relative. This almost comic breach had far-reaching effects: His observant family rejected him, and he thereafter embarked on a solitary life. He was well suited for it. He published his first book, Kadmoniyot ha-Aravim (The Arabs’ Antiquities) in 1893, when he was just fifteen. He continued his language studies in Heidelberg and Strasbourg, studying at the latter with the great Orientalist Theodor Nöldeke, who was clearly taken with the young scholar. A letter of recommendation written by his teacher describes Yahuda as a formidable linguist: “He not only speaks his native language, the Arabic of Jerusalem, but after becoming well versed in the written Arabic, he also acquired a thorough knowledge of the ancient and medieval Arabic language and literature.” Nöldeke goes on to say that in addition to being a fluent speaker of German and writing it better than most Germans, his student had an “excellent” command of the Hebrew literature, was no “stranger” to Assyrian, and that it would be an “easy matter” for him to learn English. By 1904, at the age of seventeen, Yahuda had his doctorate. The next year he put his prodigious language skills to use, teaching Semitic philology at a liberal rabbinical school and at the Orientalisches Seminar at Berlin University, where he stayed until 1914. He spent the next nine years in Berlin, eventually heading the Department of Biblical Studies and Semitic Languages at the university and lecturing on the exegesis of the Old Testament, a subject to which he would remain devoted all his life. That illicit cigarette was not an anomaly; Yahuda’s irreverent attitude persisted. He caused a stir by lecturing on the Bible without wearing a yarmulke. But his refusal to follow Jewish laws according to the letter did not mean he neglected the past. Instead he took a long view of history, seeking material to justify his own interpretations of tradition, however idiosyncratic. In 1915 Yahuda was offered a professorship in rabbinic literature and languages at the University of Madrid, the first such position to be created in Spain since the expulsion of the Jews in 1492. Directed to make an appearance before King Alfonso XIII, Yahuda took the opportunity to proclaim both his heritage and his independence: “I am not the first in my family who appears in audience before one of your majesty’s family,” he informed the monarch. “It was in the midtwelfth century, when one of my forefathers, Sheshet Benveniste, had the high honor of appearing before your majesty’s forefather, King Alfonso II.” The appointment prompted newspaper articles proclaiming Yahuda’s remarkable scholarly accomplishments, his common heritage with the Jews of Spain, and his tenacious devotion to his subject as guarantees of the wisdom of his appointment. He held his position for seven years, witnessing and participating in the extraordinary efforts of the international Zionist movement to secure a mandate in Palestine and making the first of a string of enemies in that movement, the beginning of a bitterness toward some of his fellow Jews and their ideas on how to run a Jewish state, which lasted his entire life. Yahuda left Madrid in 1922 to embark on what would turn out to be a full twenty years of traveling, lecturing, and teaching. During this period he acquired a serious taste and facility for acquiring rare manuscripts, partially funded by money inherited by his wife, which led him to northern Africa, the Middle East, and western and eastern Europe. He taught in England at King’s College, University College, London, Oxford, and Cambridge and lectured at such places as the Royal Asiatic Society of London, Hebrew University in Jerusalem, Yale University, and the University of Cairo. He spent the Nazi period in London, in the house on Ellsworthy Road where Keynes wrote to him. A visitor recalled extending his hand in the gloom of the foyer to “something formally elegant and stern,” thinking it was the professor. Instead he encountered a life-size bust of the scholar, the man himself presiding in the reception room next door. Yahuda may have become a caricature of himself, but his learning was formidable. The fact remains that Yahuda, a Sephardic Jew born in Jerusalem to a family that had settled in Baghdad sometime after Spain expelled the Jews in 1492, was the first person to read Newton’s private theological writings who was both able to understand them on their own terms and—perhaps more crucial—willing to do so. Back in 1777 Samuel Horsley may have looked at them, but he said nothing of it in his Opera Omnia. David Brewster and Jean-Baptiste Biot both saw them, and while they came to different conclusions about what the religious writings meant for understanding Newton, they both were concerned primarily with Newton the scientist. And whatever Luard, working in the 1870s on that long-delayed catalogue with Stokes, Adams, and Liveing, may have thought privately about the writings, he went on the record to dismiss them as mere exercises in penmanship and evidence of an unhealthy obsession. Yahuda turned the thing on its head. “His studies offer material about his concepts,” he wrote in an unpublished essay on the Newton papers, “the manuscripts even more than the printed works.” The theology manuscripts were not secondary; they offered a way of understanding Newton’s scientific concepts that was ultimately more revealing than the printed works. What seemed “odd” in fact offered a “true estimate” of Newton. “It is necessary therefore that the remaining manuscripts are examined very carefully, so that the many things which appear odd today, receive their deserved vindication: this is a duty, not only towards Newton and his country but also towards all of humanity.” Yahuda was a scholar of history, pushing for the hard work of seeing the odd, old world that Newton inhabited. Finally, all the excesses of the archive could be welcomed. It was the very extensiveness of the theological writings—the obsessive drafting, the lengthiness of the treatises—that spoke of Newton’s desire to “extend the universalistic character of Christianity.” By this Yahuda meant that Newton envisioned a truer, deeper religion, one that surpassed mere sectarianism, that “did not see the problem of religion exhausted in Christianity or Judea, but wanted to include all antique religions and the spiritual development of all other peoples besides the Israelites.” This was a message with obvious resonance in a Europe rent by war. Yahuda’s vision of Newton looks very different from any of the Newtons previously conjured by his would-be biographers, scholars, and cataloguers. But then Yahuda himself looked very different from any other Newton scholar. He saw language, and specifically scripture, as a code in which history itself could be read. Language bore the traces of lived experience, and great books, such as the Pentateuch, bore the traces of the history of the peoples it described. Like the tombs of the Egyptians, the Bible was a testament to history, and like the Egyptian hieroglyphs, the language within it could be studied to reveal its true meaning. Yahuda was a forensic philologist, a practitioner of a brand of so-called Higher Criticism. “Lower Criticism” concerned itself with the nuts and bolts of transcription, the errors introduced into texts by lazy or unskilled scribes, the almost unavoidable mutations a manuscript underwent as it was copied over many years. Higher Criticism was after bigger game, capturing not simply the literal meaning of words written long ago but the entire worldview or culture in which those words were written. What did the writer of the text mean to accomplish at the time? What events surrounded its composition? Such questions seem plain enough, but when asked of the Bible, they become sensational. Yahuda sought to trace the history of the Torah (the first five books of the Hebrew Bible) through telltale clues—words, customs, manners, and thoughts—borrowed by the Jews from the Egyptians, with whom they lived in close contact during their time in exile. He called this “proving the Hebrew-Egyptian relationship.” He was not the first nor the only scholar to seek to understand the Bible this way; what was distinctive about his approach was his emphasis on the Egyptian, as opposed to Babylonian or Assyrian, influences on the Bible. For Yahuda, the Bible was a vibrant mix of cultures, practices, and perspectives whose very form testified to the cheek-by-jowl experiences of Jews, Egyptians, Babylonians, and Assyrians in the deep past. And yet he reserved a place of honor among the babble for the Chosen People who, he claimed, borrowed not so much “the vernaculars of primitive peoples in Israel’s surroundings” but the “languages of the most cultivated peoples of the world.” This was not cultural relativism. For all his celebration of diversity, Yahuda was unafraid to assign prestige to the Jews, so long and so frequently abused. This was not scholarship content to dabble in eccentricities and obliquities. To say that Yahuda was unafraid of controversy is not to say enough. He loved the brouhaha, the duels with other scholars. He lived a life at once public and solitary, giving many talks and participating in much correspondence but without much in the way of fellowship. According to his archivists, “his enormous correspondence contains few sustained relations.” Thanks perhaps to the legacy of his difficult personality, little has been written about Yahuda himself, though his archive of personal correspondence and manuscripts is extensive and his role in the intellectual universe of émigré Jews in the first half of the twentieth century substantial. And he seems to have grasped a truth about Newton that few had. Yahuda’s essays indicate that the value he attached to his Newton manuscripts was intellectual and cultural, not monetary. But a curious letter, written in 1940 as a testimonial by Albert Einstein at Yahuda’s behest, provides a hint that he once considered selling them. Though it is unclear how they first met, Einstein and Yahuda had corresponded intensively from 1933 through the end of the decade, trading opinions on the increasingly dire situation in Europe and the political and diplomatic maneuverings surrounding partition plans for Palestine. Neither man mentions any of Yahuda’s dealings in books and manuscripts, including his purchases in the summer and fall of 1936 of the Newton papers. Yahuda was more concerned with winning Einstein’s support for his views on how matters in Israel should be conducted, while Einstein warned that “such polemics” would not be productive. In early 1940 Einstein helped arrange for Yahuda and his wife to travel to New York. In the late summer of that year Yahuda visited Einstein at his summer retreat at Lake Saranac in the Adirondacks. The two men evidently discussed Newton, for preserved in the archives of both men is a letter in Einstein’s hand dated September 1940 that details his views on Newton’s private religious writings. Prompted no doubt by Yahuda, the document is notable for what we can infer of both Einstein’s and Yahuda’s attitudes toward the Newton papers. For while it is possible that Einstein made a sustained investigation of the papers that Yahuda owned, there is no evidence in either man’s extensive personal archive that this was the case. Instead it seems much more likely that Yahuda was calling upon his famous acquaintance for a favor in helping him to dispose of his collection. A letter from Einstein declaiming the importance of the collection would serve as an excellent introduction to libraries that might be interested in purchasing the manuscripts. Newton’s writings on biblical subjects seem to me especially interesting because they provide deep insight into the characteristic intellectual features and working methods of this important man. The divine origin of the Bible is for Newton absolutely certain, a conviction that stands in curious contrast to the critical skepticism that characterizes his attitude toward the churches. From this confidence stems the firm conviction that the seemingly obscure parts of the Bible must contain important revelations, to illuminate which one need only decipher its symbolic language. Newton seeks this decipherment, or interpretation, by means of his sharp systematic thinking grounded on the careful use of all the sources at his disposal. While the formative development of Newton’s lasting physics works must remain shrouded in darkness, because Newton apparently destroyed his preparatory works, we do have in this domain of his works on the Bible drafts and their repeated modification; these mostly unpublished writings therefore allow a highly interesting insight into the mental workshop of this unique thinker. Despite Einstein’s letter, Yahuda never did sell the Newton papers. In 1942 he traveled as a refugee to America, where, like so many other scholars uprooted by the war, he found a place at the New School for Social Research in New York. For several years he ran the school’s Center for the Study of the Near and Middle East and gave lectures on biblical literature, Islamic architecture and ornamental art, Semitic inscriptions, advanced Arabic, and a survey course on the history of the ancient Near East. No evidence suggests that he shared his Newton papers with his students. Yahuda and his wife moved in the last years of his life to New Haven, Connecticut, and though he was not on the faculty at Yale University, he hoped to make connections with scholars there. Instead he was to be “lonely as never before.” In addition to the Newton papers, Yahuda had acquired over the course of more than forty years of collecting what was reputed to be the largest and most valuable assemblage of rare Arabic books and manuscripts in private hands. The bulk of these—an incredible 4,800 Arabic texts spanning a thousand years of history and ranging across astronomy, mathematics, literature, geography, philosophy, and medicine—ended up in the Princeton University Library, making it the largest repository of Islamic manuscripts in North America (which it remains today). Yahuda also sold some Arabic medical manuscripts to the U.S. Armed Forces Medical Library in Washington, D.C., as well as additional materials to Dublin’s Chester Beatty Collection. In August 1951, while on vacation with his wife at Saratoga Springs, New York, Yahuda died of a heart attack at age seventy-four. His obituary appeared the next day in the New York Times, hailing him as a “noted expert on the Bible and orientalist.” He had died in many ways an isolated and angry man. His “learning was immense,” as the Times obituarist noted; his “reasoning and judgment, however, were not consistently sound.” The dispersal of his collection after his death was to be as fraught as his relationships were in life. Before he died he had sent some books and papers from his library to a warehouse in New Haven to await packing for shipment overseas. But he never packed them up or designated a recipient for them. Instead the books sat in the warehouse for several years until Ethel Yahuda, who on her husband’s death had inherited the entire library, valued at $80,000, began to prepare it for shipment. Despite Yahuda’s lifelong anti-Zionism, a result of his deep discord with the noted Zionist and Israel’s first president Chaim Weizmann, among others, Ethel decided to donate all of Yahuda’s books and manuscripts—including the Newton materials—to the Jewish National and University Library at Hebrew University in Jerusalem. She had been convinced by a Boston book dealer named Abraham Bornstein to honor the people of Israel with a bequest. More important than any quarrels Yahuda may have had during his lifetime was the legacy he could leave, in the form of his books and manuscripts, to the Jewish people. She made the announcement at a luncheon in Israel (which was attended by the president of Israel) on January 28, 1953. Soon afterward she began to arrange the material that had been sitting in the warehouse for so many years; the cataloguing and crating of the material was still unfinished at the time of her death in 1955. Though she had publicly announced her intention to make the gift, she had made no written provision in her will regarding a donation to the university. One of the four trustees of the estate, a nephew of her late husband, objected to the donation of the library to Hebrew University. The resulting court case dragged on until 1966, when the Supreme Court of Connecticut ruled that the library should be donated to the Jewish National and University Library after all, having found that Ethel Yahuda’s intentions had been clearly stated orally to a number of people before her death. The case of Hebrew University Assn. v. Nye has subsequently served as an important precedent for honoring the intention of a donation in the absence of written documentation. The fate of the collection of Abraham Yahuda, a man for whom written language carried the promise of revealing deep and lasting truths, depended ultimately on spoken words. Following the court’s decision, the collection, including all of the Newton papers, was finally crated and shipped to Israel. Reprinted from The Newton Papers by Sarah Dry with permission from Oxford University Press USA. Copyright 2014 Oxford University Press USA and published by Oxford University Press USA. (www.oup.com/us). All rights reserved. A Latin translation of The Book of Zohar (Kabbalah Denudata), was found in Newton’s library, and is currently kept at the Trinity College in Cambridge. Isaac Newton based his scientific research on philosophical principles. In particular, Newton wrote: “In my books I laid down the principles of philosophy that are not purely philosophical, but also mathematical, which can serve as the basis for discussing physical matters. So that they don’t seem fruitless, I accompanied them with some physical explanations” (Newton I., Mathematical Principles of Natural Philosophy, 1686, V. 3, “The System of the World,” p. 501). 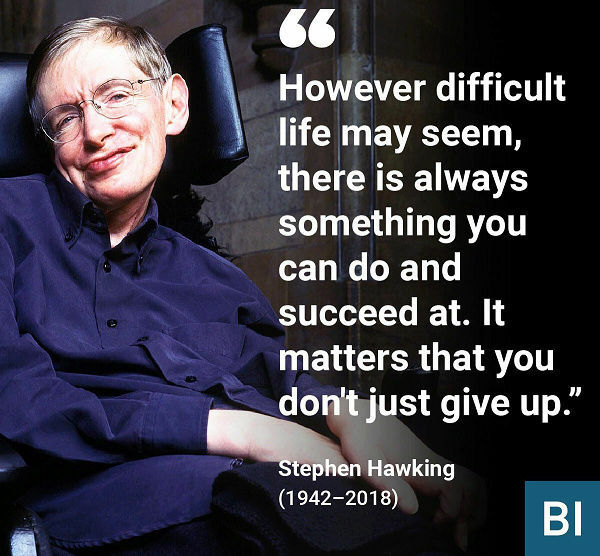 Before he died, renowned cosmologist Stephen Hawking submitted a paper, with co-author Thomas Hertog, to an as-yet-unknown journal. Hawking’s last known scientific writing, the paper deals with the concept of the multiverse and a theory known as cosmic inflation. Though the paper currently exists only in pre-print form, meaning it hasn’t completed the process of peer-review, it’s received a significant amount of coverage. 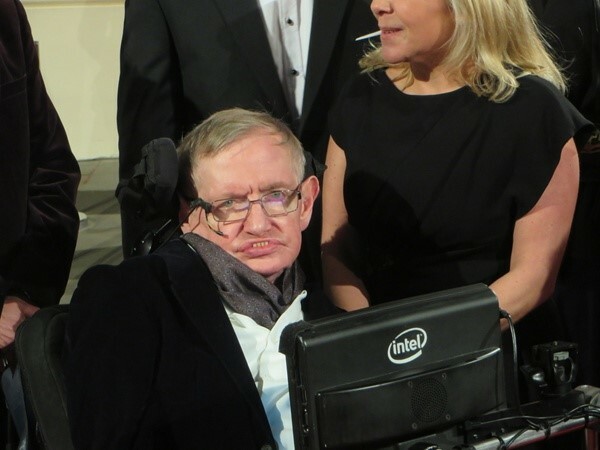 “Stephen Hawking’s last paper,” after all, does have a bit of a mythological ring to it. "Mythological", I'm afraid we'll never hear the end of this. I saw that the other day and cringed. Any talk of multiple universes or alternate universes make me cringe. They're fine for a SciFi show/movie, but I expect more from professional physicists. I guess I expect too much. Quote. This project continues to unwind in spectacular fashion, taking many others down with it. Those GIFs are just too good to be true, Airman! Hah haa!